Tonight ds and I worked on english after working on arabic the past week alhamdulillah. I had him write out words on lined paper and then quized him on the spelling. I am going to work on his Quran soorahs maybe tomorrow, since he missed Iqraa school last sunday due to us being away for my daughters appointments. In other news, he did receive his white belt, orange stripe on Monday mashaAllah. He is doingvery well alhamdulillah. 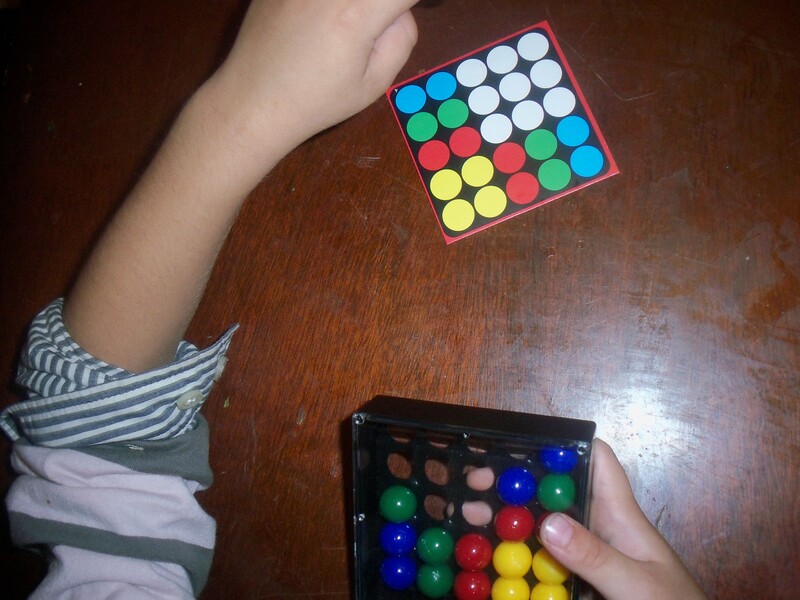 Increase ability to focus with “fidget-friendly” game. Once they get the understanding of how to play, you can give them a timer like you would in a chess game inshaAllah so they can challenge themselves.